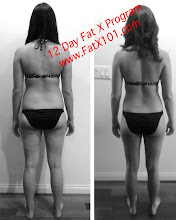 Day 2 of the 12 Day Fat X Program is a huge step in the right direction. The first two days are like kindling setting up a good fire. Remember to warm up before getting into the main part of the workout. Instructions and a downloadable PDF where you can track your progress and other stats are in the download. Remember that you can contact me with any questions. I don't succeed unless you do! I want you to succeed and I need you to succeed! LOve how well u put ur videos together! This was a great workout. Thanks! i feel like i've been hit by a truck. almost wanna take the day off for day 3 but i'll stick to it. i feel beat.! lol not only is this awesome but you made the video demonstrations funny with the music. You're a legend! Thanks, I'm gonna be changing the music though to avoid any copyright issues. That's actually why it's taking me a while to make them available for download. After day 2 I'm a little sore but feeling great. I'm eating good and I swear it gives me more energy. Can't wait till day 3. Dude that video is so funny! Cant wait to get started on day 1 tomorrow! after day one, i felt soo soar! thanks, i have been looking for a strength training program i can use here at home. woah! that was a great workout...i like how u incorporate shoulder work into your plan...thanks for the great workout program, i'm really enjoying it! Thanks for the comments and congrats getting past the first day. Thanks for the workout. 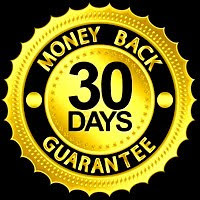 Does this really work in 10 days? A quick question how can you see the before & after pics of the people? & just the same question as on workout 1 video, does these workouts give you muscle as i don't want muscle just to lose weight. Reply soon Fat X 101. Jane, it's not easy to build muscle, especially for women. At least not visible muscle. Women usually stay away from weights or weight training because they're afraid of getting big muscles. That won't happen. Women don't have the natural capability to get big muscles. What will happen is you will look leaner because you will burn off the fat. hey, is it okay if i snack sometime during these 12 days? answer soon, thanks FAT X 101! Not only is it OK to snack, I'm a big advocate as long as it's done in the right way. Do a search on the blog for snacking. hey, just one more question please. is it okay to eat fastfood once during this? thanks. It's OK as long as you realize fast food is not an optimal meal when your trying to burn fat. With that being said, if you can work it in to your 5% or so splurge allowance it wouldn't be too bad. Wow, i feel inspired. I'm 17 and about 15-20 pounds overweight from my BMI. Since my freshman year I've been trying to keep the weight off. But it takes forever to see results. I can't wait to start on this program. I know I'll feel beat but I'm looking forward to it. Thanks. wow. uhmm wat to say, all kudos to you man, ive only done day one, and im already strength trained and i have lots of stamina, but day one really tore me up, i was about to puke for 30 minutes after this workout. im dreading about to go do my day two, but following my brother he says its alot easier then yesterday..
all i can say is... Turkish Get-Ups... F*** i dread those, but hey everyone, this really works, and it works you hard. thanks for uploading these vids. Hey! Want to start your program on Tuesday but vid 2 isn't available??? Will it be back soon? There was a problem with videos hosted on Blogger for a bit and it affected many blogs. Blogger has fixed the issue and they should be good now. What do I do if I don't have access to a barbell??? Day 2 finished...I feel so beat. If you don't have a barbell, just use dumbbells. If your beat, it means you're probably working hard, and that's a good thing. Make sure you are following the diet so that you get all the nutrients your body needs to recover. Thanks so much!! I stumbled across your videos and started this morning. All I can say is AWESOME!! Can't wait for day 2..
Hi is to normal for my legs to get bigger ,Iam a girl , so i dont know if thats normal ?